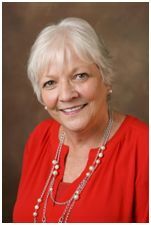 Kathryn is a licensed clinical social worker and president and CEO of The Florida Center for Early Childhood, Inc. in Sarasota, FL. Kathryn has made many contributions to the fields of infant and early childhood mental health and Fetal Alcohol Spectrum Disorders). She is passionate about social justice and children’s issues. She is an ordained Roman Catholic Roman woman priest, actively engaged in the Association of Roman Catholic Priests (ARCWP), promoting spirituality rooted in social justice and equality for women in the church.